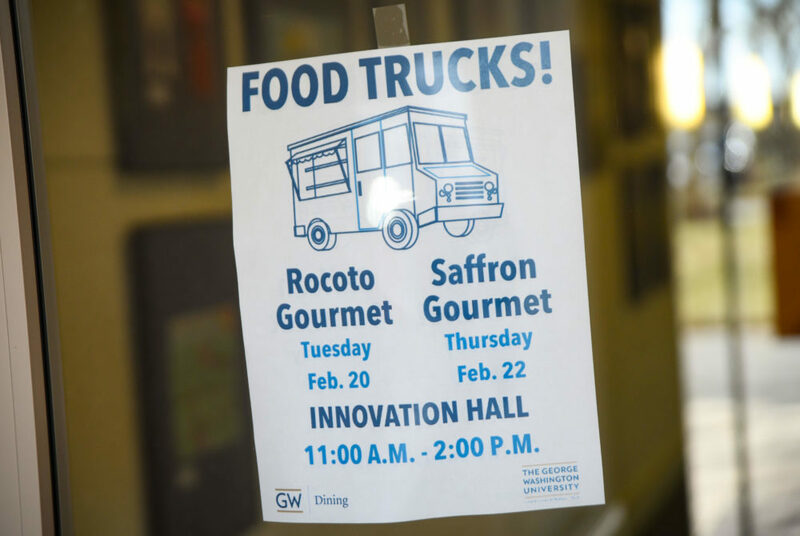 Officials began a pilot program earlier this month to send food trucks to the Virginia Science and Technology Campus to determine whether or not the trucks should become a permanent dining option. Food trucks already line H Street in Foggy Bottom, and soon they could become a fixture on the Virginia campus. 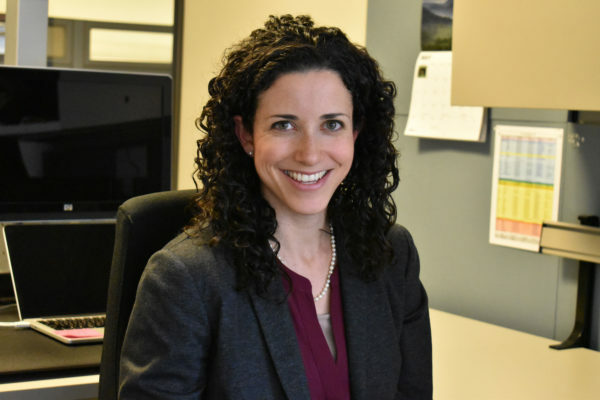 “While not a traditional urban location with high-volume pedestrian traffic, we are hopeful the concentration of students, faculty and staff at key VSTC sites will provide enough customers for which a food truck needs to viably operate,” she said in an email. Four different trucks have each made one-day visits to the VSTC since the program started, including the Poke-Man truck, Good Grubbin’, Urban Poutine and Ada’s Kitchen on Wheels. The food trucks have stayed on campus for a few hours at a time, serving students, faculty and staff in front of Innovation Hall and Enterprise Hall. Doug Bowman, the owner of the Good Grubbin’ food truck, which serves up fajitas and barbecue dishes, said bringing food trucks to the VSTC benefits the campus community because there aren’t many dining options in the area and the vendors offer a new element to campus life. Bowman said he received positive responses from students and faculty who came to his truck and hopes to return to the campus soon. “A couple of people said they were happy we were there, and I think we had quite a few faculty members with us as well,” he said. The Virginia campus has struggled to build an identity over its nearly three-decade history, something students and faculty said leaves the campus feeling isolated and without a strong sense of community. Devan Doss, a student in the nursing school, which is based on the Virginia campus, said the food trucks are a welcome addition to the campus because there is no dining hall where students can purchase a meal. 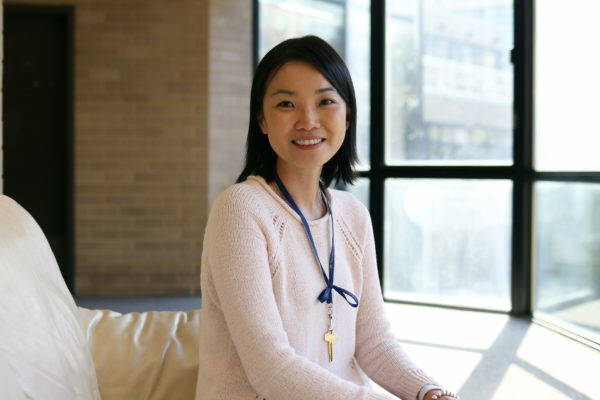 She said that in the past, most students have to go off campus to get lunch or bring food from home. “As nursing students, we have long classes and spend many hours on campus, so having somewhere on campus where we can get a full meal is a great addition,” Doss said in an email. Tristan Smucker, another nursing school student, said the addition of food trucks will be most beneficial to those students who commute to the Virginia campus and don’t live nearby. Since those students don’t have the ability to go home for lunch, they can now have more options on campus, he said. “It lets students that shuttle to campus or that don’t have a lot of time during lunch break to go anywhere to get food. Their only real option is to bring food, but that is not always the most ideal situation either,” he said in an email. Smucker said he wants to see food trucks come more often because there is a lack of dining options on the campus. “Personally I think the food trucks are a nice balance between having a full dining hall and what we have now,” he said.